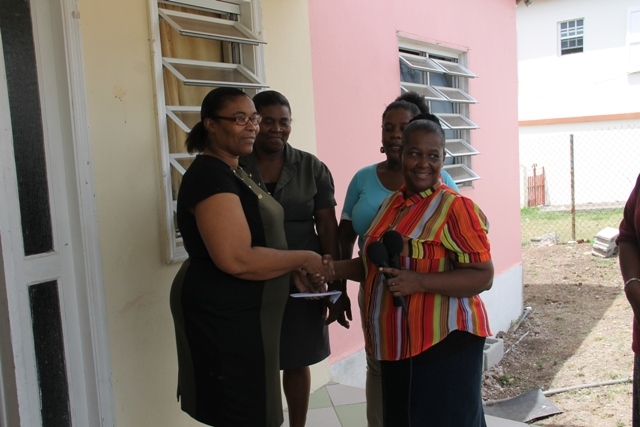 NIA CHALESTOWN NEVIS (June 25, 2015) — The Department of Social Services Single Parents Group, made a monetary donation to cancer patient Raymond Maynard at his home in Hanley’s Road, Gingerland on June 23, 2015, to assist with medical expenses. Maynard’s wife, Glenda Maynard received the gift on behalf of her husband from Group member Gloria Pemberton. She expressed gratitude for the contribution. 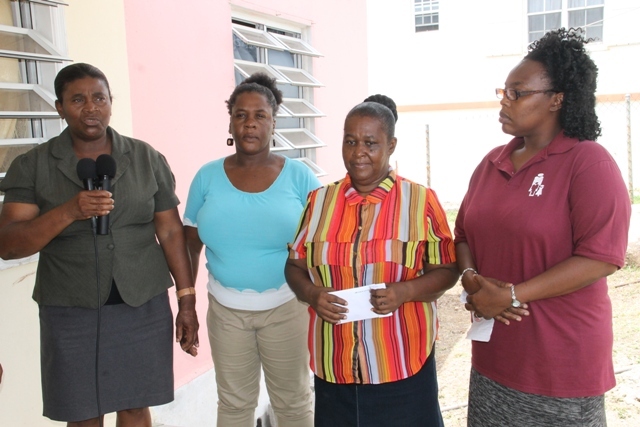 Group representative Rhonda Forbes stated that their main objectives included assisting children of single parent homes, those in need and the sick in the community. Forbes also used the opportunity to extend an invitation to the public to join the Group and to support their fund raising activities whenever they were held because anyone could be in need help at any time.